Connected Nation’s full “2012 Jobs and Broadband Report” is available on their website (PDF). It’s worth digging in to. points (56% for African Americans and 67% for white Americans in 2010). • Target broadband adoption efforts at high school dropouts and households below $20,000 annual income: This group has persistently low broadband adoption—38% of African American and 51% of white American high school dropouts adopted broadband in 2010. • Close broadband adoption gaps by linking it to jobs: Segment of African American population with low adoption has the most interest in using broadband for jobs—77% of African Americans and 17% of white American high school dropouts used broadband to search for jobs in 2009. • African Americans are underrepresented in broadband jobs and businesses: African Americans were 8% of broadly-defined STEM occupations in 2010 and made 0.23% of revenues in information sector businesses in 2007. Broadband adoption can be leveraged to change this. Progress in telecommunications technology has been significant in recent years. These advancements have led to an unprecedented level of connectivity. Not only can you save money using broadband, you can also make money using broadband. 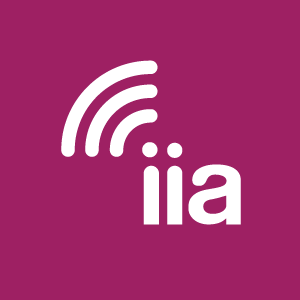 This year IIA examined how internet connectivity enables you to participate in the sharing economy—also known as the gig economy—to generate income. If we are serious about speeding broadband deployment, the FCC has to get into the nitty-gritty questions about access to poles, equipment, contractors, how long the process should take, how providers should be compensated, and similar issues. The next generation of progress for African Americans will be economic, particularly eliminating income and wealth inequality. Entrepreneurship and high-quality, high-paying jobs will be an important part of that solution, and increasing access to high-speed broadband will make closing the gaps easier.